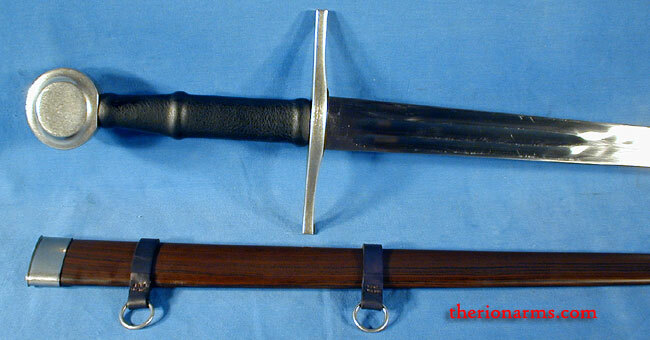 This is an early 4th generation Paul Chen / Hanwei Practical series Austrian longsword, from early 2008. It has a very flexible blade and a hollow pommel, making it extremely light and fast. 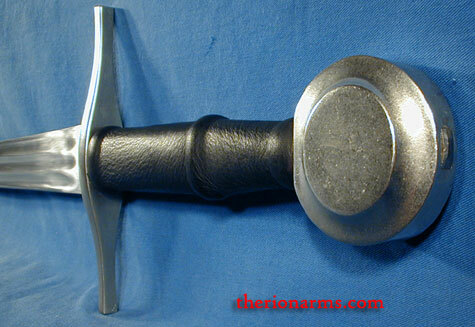 This particular practical longsword would be great for unarmored stage combat or for use in the SCA cut'n'thrust program (check with your local marshalls). I only have one of these extremely flexible practical longswords still available. 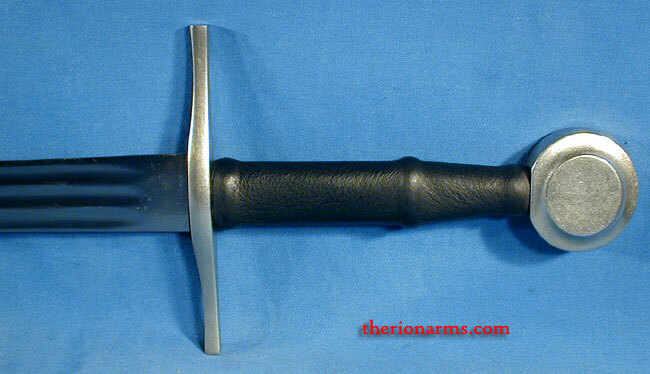 (see the Practical series longsword 4th generation listing for the standard 4th generation version).